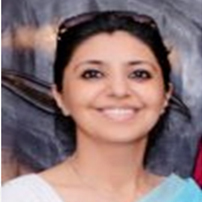 Alka Talwar, a graduate of Loreto College, Kolkatta ,and an XLRI alumnus (www.xlri.ac.in) is a successful entrepreneur . In her career span of 25 years she has worked in the Hospitality, Apparel Export & Human Resources. Since its inception in 1999, ‘The Leading Edge’, a boutique Recruitment and HR Consultancy firm, (www.jobsleading.com)has continued to provide its services across diverse industries such as Pharmaceuticals , Exports, Hospitality, Power &Infrastructure, Healthcare &wellness, E-Commerce . Zealously committed to the society’s cause, she has been associated with various NGO’s as a pro bono advisor. She is also the chairperson trustee of NGO founded by her “I am a Proud Indian” and is involved in everything from fund-raising and strategy to content development and is a very hands-on helping steer the ngo in its desired direction. Actively involved in welfare programmes with developmental organizations ;coordinating with public representatives, local politicians, NGOs & corporates by preparing / planning new avenues for motivating people to participate in the the programmes. The NGO actively engages in the area of community development with focus on sanitation, skill development and employability. Has successfully conceptualized and executed an offline campaign to create awareness about Cleanliness and its benefits and is currently working on another creative online campaign for a Stay clean – Stay Safe . She also mentors and consults start-ups in the “Recruitment Space “on their pitch and operational strategy. She delights in connecting to people from various walks of life and from diverse socio economic cultures. It is this strength that helps to bring great value to any enterprise she is associated with. Has recently relocated to London and is on sabbatical from work while exploring her passion for cooking and sketching portraits and reading poetry.